As mentioned in the previous post, one of the key characteristics of ‘crossing the chasm’ to a viable whole-of-enterprise architecture is the explicit inclusion of people. In short, we need to be able to model and map where people fit in relation to the architecture. But there’s a catch. A big catch. People should not be ‘designed in’ to the architecture. Yet in most building-architecture, evidently, people are everywhere. Other than in certain special-cases – the equivalent of an IT-specific ‘enterprise’-architecture, perhaps – the building and its purpose and design will centre around people, about what people do, why they do it, what the building represents to people, and so on. And the equivalent of that ‘people-centrism’ is what we need in a viable enterprise-architecture. 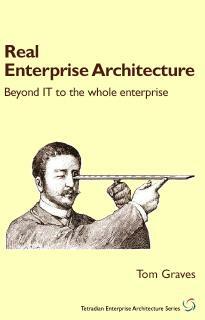 Conventional enterprise-architecture is not good at this. TOGAF, for example, uses the term ‘vision’ to mean a particular goal, a description of the desired ‘target state’ of the IT-architecture: it’s one valid meaning of ‘vision’, I suppose, but not much use in relation to people. 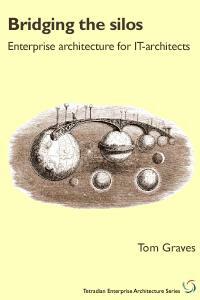 Business-architecture frameworks are often less helpful: the BRG/OMG Business Motivation Model, for example, describes as a similar ‘future state’ for the organisation, but framed in terms of some kind of ghastly marketing-puff – “to be the best provider of…!” etc – that really is worse than useless in practice. These components may occur in any order, but all of them need to be present. The aim is to identify a short phrase that gives sufficient motivation for anyone involved to ‘want to get out of bed in the morning’ on behalf of the overall enterprise. One particularly clear example is that for the TED conferences, “ideas worth spreading”: ‘ideas’ [content]; ‘worth’ [qualifier]; ’spreading’ [action]. Note that none of these components describe the organisation at such – but do describe the focus, the area of action, and the key value-metrics which define the meaning of ’success’. The point here is that the organisation is merely a means to implement the vision, in relation to the broader shared-enterprise within which the organisation exists – its supply-chain, market and broader social context. Other than in terms of its declared or implied responsibilities towards this shared-enterprise, the organisation does not ‘own’ the enterprise at all – another crucial point that is frequently misunderstood in business-architectures and business-models. The organisation does choose the shared-enterprise to which it relates and within which it operates: but having done so, it in effect commits itself to the respective vision and values – and will be assessed by other participants in the shared-enterprise in terms of those values. It is rare for these sets of values to match exactly… in fact there are often glaring disparities between them, often unconscious, yet critical all the same. One of the most difficult and politically-explosive aspects of enterprise-architecture is to map these value-sets, the disparities between them, and the practical implications and risks of those disparities, and identify appropriate means to resolve them. 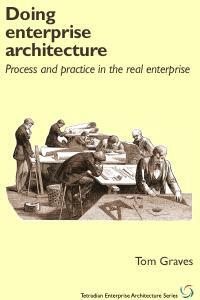 Difficult though it may be, this is probably one of the most essential tasks of a whole-of-enterprise architecture. People are essential to an architecture, but should never be included as such within it. To resolve this requirement, we turn to an old computing tactic: we include people not ‘by value’ – as ‘objects’ within the architecture – but ‘by reference’ – via relational assets. As described elsewhere, I use a model in which there are four distinct categories of assets that an organisation and enterprise will need to maintain: physical (things), virtual (information), relational (real person-to-person links) and aspirational (person-to-abstract links, such as brands, beliefs, goals etc). Many real-world entities – perhaps most – are composites of these categories: a book or a video-disc, for example, is ‘thing that carries information’, and hence a composite of physical and virtual. These four categories of assets are fundamentally different: an object is alienable (if I give it to you, I no longer have it), whereas a virtual entity is non-alienable (if I give it to you, I still have it). Failure to understand these fundamental differences within an architecture will guarantee failure of that architecture: hence, for example, the inherent invalidity of media-industry business-models which try to ‘control’ virtual-only information-assets (digital-only books, music and video) as if they’re still in their old partly-physical ‘pre-digital’ form. People are physical, yes: but they are not solely physical ‘things’, ‘units’, ‘consumers’ – even though too many employment-models and business-models seem to treat them that way. People may be represented by information, yes: but they are not solely information-entities – even though too many CRM- and HRM-systems seem to treat them that way. People have relationships with other people. These relationships – relational assets – are direct, and personal: they cannot be exchanged directly with anyone else. People have relationships with emotive ideas, often an idea or image as proxy for person or for a desired memory or future (such as the relationship with someone deceased, or the aroma that brings back memories of another place and time). In a business context, such proxies include logos, brands, and the reputation of the organisation itself. These relationships – aspirational assets – are indirect, but personal: they cannot be exchanged directly with anyone else. In the architecture, we would map real-people primarily via relational-assets and/or aspirational-assets. (Virtual-assets describe those links, but not are those links: the distinction is important! Likewise some aspects of architecture may need to describe people as if ‘things’ – for example, space-allocation in buildings, or workspace in manual-processes – but should never describe people as things: that distinction is important too…) Within the architecture, an employee ‘is’ a complex composite of many ‘sub-assets’, such as (physical) space-allocation plus (virtual) employee-record plus (relational) personal-relationships with peers and co-workers and managers and suppliers and customers and many others, plus (aspirational) sense of belonging to a team, a business-unit, an organisation, the core enterprise of the organisation, and any number of professional or other affiliations. Of these, only the physical-asset is directly exchangeable: everything else is linked to the person, not solely to the organisation. Note also that relationships have to be maintained at both ends: the asset exists between the respective entities, not as an attribute of either of them. In effect, it exists as an asset only as long as it is maintained: and all of the usual asset-lifecycle concerns also apply to relational and aspirational assets. A customer may choose to drop the relationship – and there is nothing that the company can do directly to prevent that from happening. If strong person-to-person relationships are maintained, a customer may well follow a (former) employee to a new employer: a classic problem in consultancy organisations, for example. If there is strong aspirational attachment to a brand, there is likely to be a ‘customer revolt’ if the brand is changed or dropped’ – as in the Gap logo debacle. It’s not just assets that require responsibilities: in principle, every entity in the architecture should have its own ‘responsible owner’. And each of those owners, as above, is a real-person – and ultimately can only be a real-person, not an IT-system, a machine or an amorphous ‘the organisation’. The architecture should link to each respective ‘responsible real-person’ via a relational- and/or aspirational-asset. In principle, each of these relationships should be modelled and mapped within the architecture itself. In practice, it’s huge job, requiring near-real-time links to HR systems and/or CMDB systems – so it’s unlikely anyone would attempt to do it for everything. Instead, we need to use the architecture to identify the criticality of each entity, assigning priorities appropriately. For true business-critical items, we do need to be able to identify the ‘responsible owner’ at all times; for the rest… well, we do what we can, really, guided by the usual trade-offs of diminishing-returns. We may also need to note other categories of (non-)responsibility such as not-consulted or not-informed – for example, a senior manager who does not need to be distracted by detail-level status-changes. Responsibilities often overlap – another set of concerns that should be identifiable via the architecture models. Some of the overlaps occur at intersections of different architectural layers or domains – for example, a senior manager having responsibility for a ‘business capability’, with operations-layer managers responsible for the underlying infrastructure, the equipment in use, the data and applications referenced by that equipment, the processes that traverse through that equipment, and then also managers for other ‘cross-cutting concerns’ such as security, safety, quality and cost-assurance. A layered architecture helps to clarify the respective boundaries of authority and responsibility, and the need for negotiation at each of those boundaries and intersections. 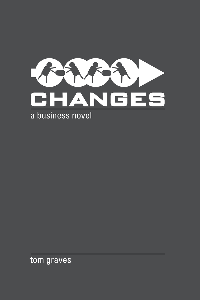 Note too that for many entities – especially business-critical ones – the effective ‘ownership’ and RACI-matrix will need to change often, with handovers of responsibility at each change of shift, or whenever the respective people go on vacation, or whatever. Particularly important are changeover-events such as joining or leaving a company: in particular, each person’s individual RACI-matrix must be reassessed and reassigned on exit from the organisation. Also important on exit is to ensure that relational- and aspirational-assets with each departing person are maintained as far as practicable: this forms a key link in the chain of long-term knowledge-management, and also many organisations find that maintaining an ‘alumni’-style relationship with former staff pays real dividends in both directions. And note also that responsibility cannot simply be assigned to someone: it must be accepted and taken on by that person at a personal level, a personal commitment, otherwise it’s likely to fall back to ‘responsibility’ in name alone, with a concomitant increase in organisational risk. Again, this is where explicit linkage to enterprise vision and values can present real value to the organisation, because it provides an overt anchor for aspirational-assets – a sense of belonging, of being engaged in something ‘greater-than-self’ – that make it that much easier to take on and enact those personal responsibilities. Finally, a person should be assigned responsibility only if they have the skill and ability – the competence – to take it on. This, however, can lead us into yet another architectural hornet’s-nest: modelling of capabilities and competencies in relation to real-people. A given capability at a given skill-level is described as a competence. Capabilities are linked with functions, and appropriate business-rules (‘decisions‘) and the like, to present services that respond to specific events at the respective locations, as per the single-row extended-Zachman above. For a service-oriented architecture, we then assert that everything is or provides a service, and that any service could in principle be done by any combination of machines, IT-systems and real-people. This makes it possible, for example, to design IT-services such that real-people can take over in the case of IT-system failure or other disaster-recovery, using essentially the same service-interfaces, and then hand back to IT again when recovery is complete. 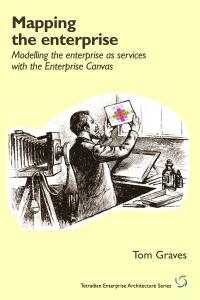 And to a significant extent, I’d argue that this is how we should model our architecture – hence the design and structure and usage of the Enterprise Canvas model-type (two-page reference-sheet here). To me, there are two key concerns here: the order/unorder dichotomy, and the Taylorist trap. The order/unorder dichotomy mainly relates to that stack of skill-levels. 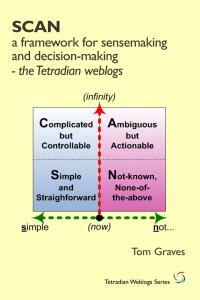 The first two skill-levels – rule-based and algorithmic – fall into what we might call the ordered domains – a world in which simple true/false logic is assumed to apply, and in which doing the same thing will always lead to the same result. The other two skill-levels – pattern-based and principle-based – operate more in the unordered domains, in which modal logics (should, could, may, might, etc) usually apply, where simple true/false logic can be dangerously misleading, and where doing the same thing often leads to different results or doing different things can end up with the same result. On the other side, real-people can be very good at handling the inherent uncertainties of unordered contexts. What they’re often not good at is ‘following the rules’ in a predictable, ordered way. Itr’s possible to force people to work in an ordered manner, but it’s rarely efficient or effective; and – as Daniel Pink and others have shown – if the work involves any cognitive skill, performance drops off rapidly if attempts are made to motivate people in any ‘mechanical’ way. Then there’s the Taylorist trap – or rather, several of them. One trap is implied from the order/unorder dichotomy. 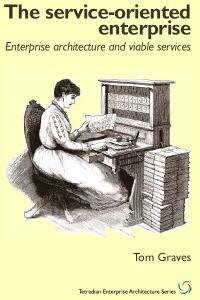 In classic Taylorism, manual-workers are essentially viewed as components in a machine: there is no concept of skill, only a strict separation between ‘brain’ (management) and ‘brawn’ (workers). All thinking and reevaluation is done by managers or by external ‘experts’ (e.g. the dreaded ‘time and motion man’). Every exception is escalated to the next higher level. Since (as lated pointed out by Deming) the knowledge needed to solve a problem usually occurs at the point o contact with the problem, one of the key results of Taylorism is for the problem to be ‘escalated’ to people who may have greater theoretical knowledge, but less and less practical knowledge, creating an apparently ‘unsolvable’ problem. Another trap arises from the same source: treating workers as components in a machine. The competencies required by the work itself are listed in a job-description or the like, in much the same way as a functional-specification for a machine. 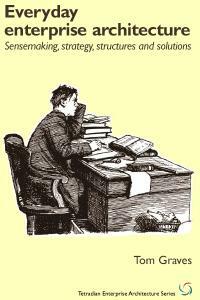 Anyone who has the required competencies is likely to be capable of doing the work. This approach is extremely useful when designing services that may need to be implemented in different ways with different combinations of manual, machine and/or IT-based ‘actors. The catch is that in effect it defines a ‘lowest common denominator’, and takes no account of skill-levels or abilities beyond the specified minimum. The result is that innovations and creativity – such as would definitely be required in a ‘chaotic’-type near-unique context – may be all but designed out of the overall service, reducing the effectiveness that could otherwise be available. Treating workers as mindless ‘robots’ is also dangerously demotivating, frequently with dire results for overall performance and for overall risk. Hence although in the Enterprise Canvas we would typically model the nominal capabilities and competencies required for a given service, we need to take care to ensure that the relational-asset aspects are also full addressed in any enterprise-models that involve real-people. The next post will explore another key aspect of any architecture that includes real-people: the problem of power. Watch This Space? 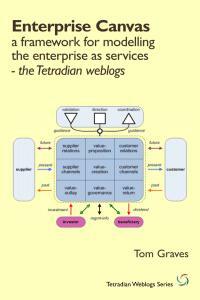 New economics models – what impact on enterprise architecture? ‹ Real EA: crossing the chasm? I’d be curious to better understand how the notion of ‘interests’ is dealt with when modelling people in EA. I would offer that human components of an EA are driven by and act out of perceived self interest. How do we integrate that into our models? In TRAK we just have ‘Enterprise Goal’ as Vision, Mission Statement et al all seem to be some form of goal. If you look at Wikipedia (http://en.wikipedia.org/wiki/Strategic_planning) it looks like mission statement has no time whereas vision statement has a specific time (period). We keep it simple – TRAK::Enterprise has a start and finish date and therefore a period and therefore this decides whether it is colloquially the enterprise goal represents one or the other. A TRAK::Enterprise Goal may be quantified by a TRAK::Metric. In TRAK an Organisation is part of the solution and there may be many arrangements of organisation that realise an enterprise. We therefore have TRAK::Organisation realises TRAK::Enterprise. 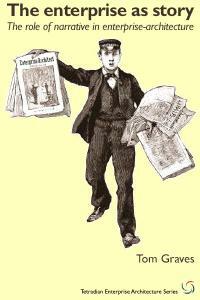 In TRAK people-related things (Human Resource) are associated with Organisation, Job and Role. Both TRAK::Organisation and TRAK::Job may play a TRAK::Role. An organisation can be a whole company size thing or a smaller unit of organisation e.g directorate or team which allows an organisation structure to be described. Roles have an extent in TRAK (using the ‘extends to’ relationship) which allows you to say, Company X (organisation) plays Integration Authority (role) extends to My Clever Thing (system) and by adding relationships to Project and Project Activity you can then state at what point or over what period this responsibility applies. In TRAK a Role requires a Competence to conduct a Function and therefore it’s easy to describe the set of competences needed for a Role (played by a Job or Organisation). 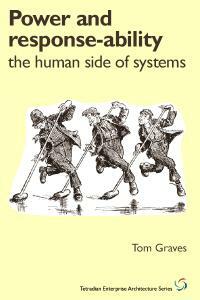 People can be part of a TRAK::System that realises one of more Capabilities. Roles are also used to describe the architecture task and therefore you see roles such as ‘Builder of Enterprise’, ‘Owner of Solution’, ‘Acquirer or Solution’ etc and these roles qualified by enterprise, concept, solution or architecture task are the stakeholders that the specifications of each TRAK view (viewpoint in ISO 42010 terms) addresses. They also indicate who should be actively involved with respect to the architecture description itself. I deal with these in a slightly different manner than you appear to. For me, enterprise is the logical / conceptual / abstract term which provides the flexibility to choose scope – division, organisation, multi-organisation (eg. criminal justice system), market, industry, state, nation. Since enterprise is scalable, the contextual-enterprise (market, community, nation) can be modeled in parallel to support the exploration of output / outcome needs and opportunities that then inform the enterprise capability modeling. So, I don’t make the same distinction that you do between these two terms. On organisation vs (shared)-enterprise, both are scalable. To me, organisation and enterprise are fundamentally-different entities: organisation is bounded by rules, roles and responsibilities; enterprise by vision, values and commitments. In essence, ‘organisation’ is a structure, whilst ‘enterprise’ is a story: the difference between the structures and mechanisms set up up to manage and administer ‘justice’, versus the idea or story of ‘justice’ itself, that provides the emotional drivers for those mechanisms and structures. For more on this, see the post ‘Enterprise and ecosystem’ – http://weblog.tetradian.com/2013/02/23/enterprise-and-ecosystem/ – particularly the back-and-forth of comments between myself and Len Fehskens on the meaning of ‘enterprise’. Because many people still use the term ‘enterprise’ to mean ‘the business’, or more specifically ‘large commercial business’, I often use a prefix such as ‘shared-enterprise’ or ‘extended-enterprise’ to emphasise this distinction between structure (and, often, only an ‘inside-outward’ view) versus story (including an ‘outside-inward’ view). 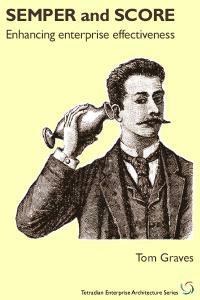 2 Pings/Trackbacks for "Modelling people in enterprise-architecture"